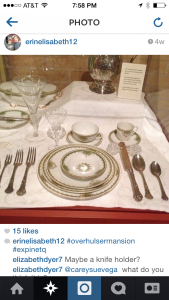 Manner Monday®: Sporks, Saltcellars, and Knife Rests, oh my! As our students are out and about living life, they often stumble across old-fashioned table accessories that make them scratch their heads and ask, what in the world? Sporks, Salt Cellars, and Knife Rests are all items we’ve received texts, or pictures posted via social media, with the questions of what and why? A few years ago, one of our students texted me, with a bit of good humor, asking about the plastic ‘spork’ in his KFC to-go order and if it should it be placed on the left or the right when setting the table… much to his surprise, I had a little history to share with him – which turned into a pretty fun text exchange. I wish I had thought to get a screen shot of our dialogue, it was pretty funny. Needless to say, he was shocked to learn that KFC didn’t invent the “spork”. 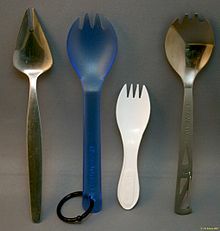 The spork (a spoon and fork hybrid) dates back to the late 1800’s. The predecessor to our contemporary plastic spork is the ‘terrapin fork’ (yes, you read that correctly) or the ‘ice cream spoon’. So to answer his question, I tossed it back to him to ask for which course he plans to use the ‘spork’. That would help me with my suggestion for the placement of it. If it’s for ‘terrapin’ during the meal, then it would go to the left with the other ‘forks’, if it’s for ice cream, it would be placed to the top of the place setting where the dessert utensils are found. Or in his case, KFC, it really doesn’t matter where it’s placed, because he’s probably eating in his lap, out of a paper bag. With his newfound knowledge, he said he’s holding out to win a chocolate bar sometime in the near future – or, if he ever appears on Jeopardy, he’s hopes to say “Sporks for $500 Alex”. Here are some pictures of different types of ‘sporks’ for your enjoyment. A Saltcellar is a lidded or open vessel with a miniature spoon, which is placed on the dining table and used to dispense salt – in lieu of a modern saltshaker. Use of saltcellars date back as early as Classical Greek and Roman times and continued through the first half of the 20th century. They started falling out of favor with the introduction of free flowing salt in 1911, and have for the most part become obsolete with the convenience of saltshakers. 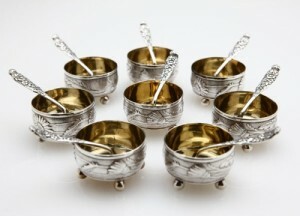 At the height of their glory, during the Middle Ages, elaborate master saltcellars evolved. These works of art were placed at the head table and the large vessel was a sign of status and prosperity and was always prominently displayed. In addition to the master salt (the big Kahuna), smaller, simpler saltcellars were distributed for diners to share. 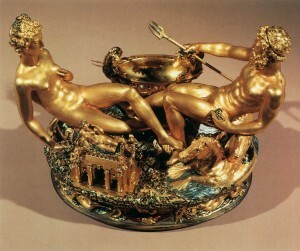 The social status of guests could easily be identified by their positions relative to the master’s large salt cellar: high-ranking guests sat above the salt while those of lesser importance sat below the salt. Technically, once you’ve used a utensil and it’s ‘dirty’, you’re not supposed to place it back on the table. The reasoning was so that diners would not soil the tablecloth with a grimy utensil, hence the job of the knife rest. Modern knife rests came about in the late 17th or early 18th century, but they originally can be tied to the times of Henry VIII. 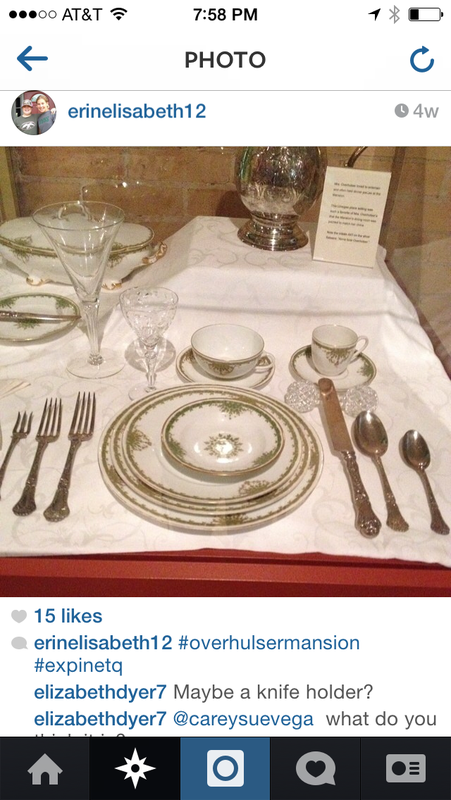 Another fun fact about the dinner, or table, knife is the distinguishing feature of a blunt or rounded end. The origin of this, and thus of the table knife itself, dates back to the 1600’s; supposedly to cure dinner guests of the unsavory habit of picking their teeth with their knife-points. In 1669, King Louis XIV of France banned pointed knives in the street and at his table, insisting on blunt tips, in order to reduce violence. This history is helpful when setting the table; it’s a fun way to remember that you always place the blade of the knife towards your plate – and not towards your neighbor, think of it as helping to ‘keep the peace’. Don’t forget to register now and save $50 with the ‘Summer Special’ rate, which is open through July 31. Registration is in full swing for our 5-8th grade programs that begin this Fall and classes are fulling up quickly. And yes, a deposit can still be made to secure their spot! The highest compliment you can give us is a referral to your friends and coworkers. Please share our registration and contact information with any families you think might be interested in participating in our program. Each year we build on the previous year as we add to the curriculum. We have many students who continue with us each season, from our Level 5 (5th grade) program through our Passport (High School) Program. Our goal with the continuous exposure, and gentle reminders, of the courtesies we teach over consecutive years – is to assist you in raising well-mannered young adults. Continued Exposure: Just as continued exposure to athletics and school homework reaps rewards; continued exposure to the social skills taught in our program will provide lifelong lessons that will benefit your child throughout the classroom and into the boardroom. 5-8th Grade Levels: We encourage you to register early to take advantage of the ‘Summer Special’ discount. Regular tuition for the 2014-2015 season will be $425. 9-12th Grade Levels: Registration is open and will continue with the Early Bird discount into the fall. Register early to avoid the waiting list. I’m busy booking projects and working on presentations for clients and am already scheduling well into the Fall! Thank you so much for your continued support for this part of my business!